Paul M. Matesevac, a Collins Hill High School senior, has earned one of the top academic honors in our country… recognition as a 2018 U.S. Presidential Scholar. 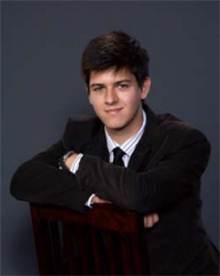 Matesevac is one of only 161 students nationwide to receive the honor and one of only three Georgia students selected. He will attend Georgia Institute of Technology in the fall where he plans to major in Biomedical Engineering. 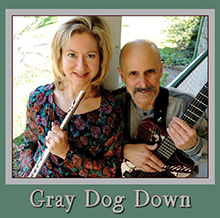 The contemporary instrumental group GRAY DOG DOWN will perform at the annual Gala Concert for the GA Music Camp at 7:00 PM on Saturday, June 9th, 2018 at St. Mary and St. Martha Episcopal Church, 4346 Ridge Rd, Buford, GA 30519. Advance tickets are available through Brown Paper Tickets at https://graydogbuford.bpt.me. General admission tickets are $12.00 and there are discounts for children, students, and family groups. Further information for the concert as well as the camp may be obtained by calling 470-266-1425. 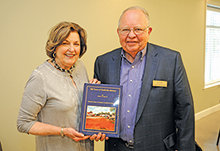 James Cofer was born and raised in the Snellville area. He is related to almost all of the old families of Snellville, Britt’s, Snell’s, Clower’s, you name the family, and there is likely a genetic connection. Lawrenceville – As part of the Gwinnett’s animal shelter’s Make May Magnificent Month, Gwinnett Animal Welfare and Enforcement is offering free vaccinated and spayed or neutered dogs or cats to veterans, active-duty military personnel, first responders and nurses, and doctors. The general public pays only $20.